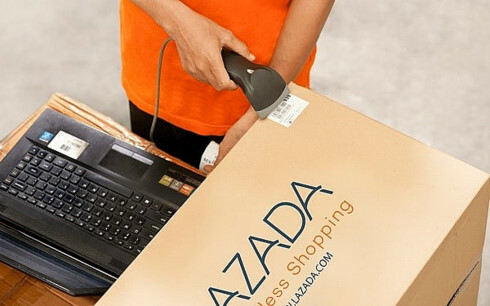 The Ministry of Industry and Trade has started an inspection at Lazada after receiving numerous complaints related to the quality of goods and services, focusing on the observance of the law on commerce and the protection of consumers’ interests. In 2017, the Vietnam Competition Agency (VCA) received numerous complaint letters related to the quality of goods and services of Lazada.vn, such as delayed delivery, goods being substantially different from advertisements or being old/used, vendors not attaching invoices or automatically cancelled orders, as well as false advertising of discounts. Implementing the requirements and guidelines of VCA, by the end of 2017, Lazada negotiated and resolved 40 out of 41 consumer complaints. The one remaining case is being negotiated, but the two sides have yet to arrive to a solution and expect to take the case to the court. According to VCA, the inspection results will be announced soon. Operating in the country since 2012, Lazada Vietnam has become a developed and well-known e-commerce platform. However, Vietnamese customers are slowly losing faith in the platform as complaints keep mounting. In the latest case, according to ICTNews, in late January 2018, a customer named Trieu from Nha Trang city ordered two batches of pants on Lazada. The first batch he received contained some damaged items, and he has yet to receive the second batch. Upon receiving the faulty items of the first batch, he called the Lazada hotline to request a replacement, but the company refused to exchange the items, despite its customer policy of providing refunds in seven days after delivery. After long complaints, the customer received an apology and was presented with a coupon worth VND50,000 ($2). Meanwhile, he continued asking Lazada to deliver the second batch but received no active response from the firm. “Lazada is a big company but its work ethic is disastrous, they pay do not respect the customer, they are slow and reluctant to resolve complaints. I have been waiting for weeks and am growing too tired and angry. They are wasting my time,” Tran Van Trieu complained. Earlier, in April 2017, N.V.Q. (from District 2, Ho Chi Minh City) said that he ordered two Gicoly electric drill machine 139 parts and some blades at the unit price of VND104,000 ($4.6) and paid by card. Then he called the Lazada hotline to make sure the order was placed, which Lazada confirmed. However, in the afternoon, Lazada suddenly cancelled his order as the price was wrong. An employee from Lazada explained that the system was being upgraded and the price was wrong so that the company could not sell the item. The customer disagreed and said that the order was approved by both sides, the deal was done, and Lazada had to perform. The cancellation of order is highly unprofessional for a retailer. D.H.T. (from Nhan Chinh commune, Thanh Xuan district, Hanoi) reported that Lazada deliberately used false advertising to lure in customers. On April 14, 2017, Lazada advertised selling a yellow Smart Watch Uwatch DZ09 with a complementary leather-strap watch. He ordered one and received a confirmation email of the successful order, according to dantri.com.vn. On April 18, he received the package and paid VND207,000 ($9.1). However, the bonus item was a plastic-strap watch. He called Lazada’s customer service and was told that the promotion was incorrect, which constitutes as false advertising. Earlier, in the end of 2016 a customer named H.D.S. (from Nha Be district, Ho Chi Minh City) ordered a 43-inch LG smart TV (model 43LH605T) from Toan Linh Electronics on Lazada. That day was the biggest online promotion of Lazada, thereby that television’s price was reduced to VND5.6 million ($247) from VND9.1 million ($400). He placed a successful order and paid online by card, Lazada sent a confirmation email, and informed him that the item will be delivered between December 14 and 17. However, the TV was not delivered, despite repeated calls to Lazada. On December 19, he received an email informing him that the delivery was not successful and the TV had been returned to Lazada. When he complained, Lazada told him that the item was not delivered as it was wrongly priced. He did not accept Lazada’s apology along with an offer of VND1 million ($44) discount for the TV. He discussed with the general director but the company did not change its decision. The customer was very angry and claimed that Lazada’s management was too weak, and the company made a deliberate mistake to spite customers. Also at the end of 2016, a customer named N.T.S from Thanh Xuan district, Hanoi, said that he ordered a mini IP Wi-Fi camera with a 32GB memory card on Lazada. However, the delivered item did not contain a memory card, according to dantri.com.vn. He contacted the customer services department, which confirmed delivering the item without a memory card. Then the supplier of Lazada contacted him and promised to deliver the memory card, which came only half a month later. The customer tried to contact the supplier but they did not answer and Lazada only kept making promises.